But I’m A Careful Driver! You’ve taken all the precautions, your tyres have just been calibrated and approved for continued use and road safety. You aren’t even driving that fast anyway. You’ve had a long day at work, you’re mentally exhausted but so relieved the rain happened 2 hours earlier, so traffic back won’t be another insufferable hour of starts and stops. Sometimes hydroplaning occurs in spite of the precautions you take. All it takes is an unrecognised thin film of water from an earlier downpour, entering an unexpectedly sharp corner slightly too quickly, or a sharp halt in traffic. If your vehicle begins hydroplaning on a wet road surface, there are several steps you can take to regain control. Firstly, understand what is happening when you skid. Hydroplaning happens because enough water has built up under your tyres that they lose contact with the road. How your car responds depends on your vehicle, how you've been driving, and which tyres are hydroplaning. If your vehicle has been driving straight, it will most likely feel loose and begin veering in either direction. If the wheels being driven are the ones that lose contact with the road, there will be an increase in your speedometer and engine RPM (revolutions per minute) as your tyres begin to spin. For front-wheel drive vehicles, the car will start to understeer, and slip towards the outside of the bend. For rear-wheel drive vehicles, the car has a tendency to oversteer, and its rear end will begin to veer sideways into a skid. 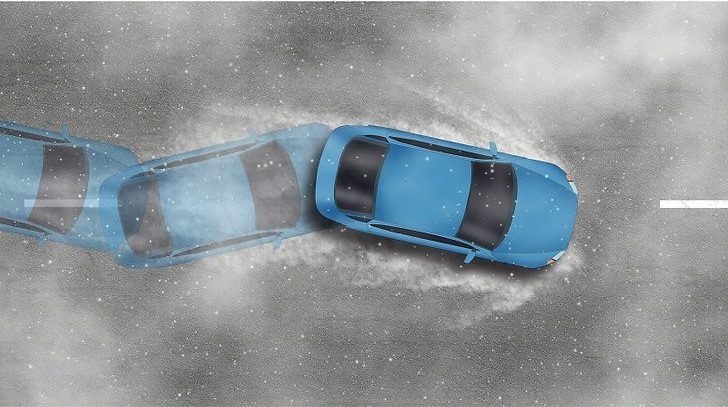 For four-wheel drive cars, that means all of them are aquaplaning, and the car will slide forward in a straight line, as though it were a large sled. Try to keep calm when you start skidding. Most hydroplane-related skids last for just a split second before your car regains traction. 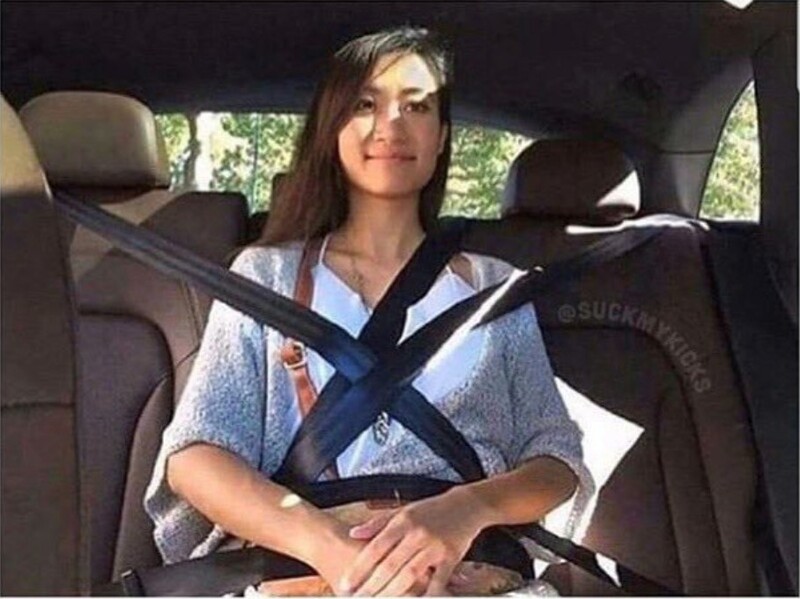 Keeping calm also helps you fight your natural impulse to slam on the brakes or yank the steering wheel, which will cause you to lose further control of the vehicle. Imagine walking barefoot across a wet and slippery bathroom floor; every step is deliberate and measured. This is how you should drive your car. Take your foot off the accelerator immediately. This will allow the car to slow down on its own. Avoid sudden moves that could suddenly shift the weight of the car from front to back (excessive braking or throttle) or side to side (excessive steering). You should keep a firm grip on the steering wheel, and try to steer your car in the direction you want to go. If your vehicle uses regular brakes, you should use gentle pumps, rather than steady pressure. However, if you have anti-lock brakes, as most modern cars do, you may apply a measured, gradual brake. Once your tires regain contact with the road, you should begin to slow down. Never slam on the brakes when you are hydroplaning. Sudden braking on a wet roadway can cause your car to skid completely out of control. Although it is counter-intuitive, if you sliding away from your intended direction, gently turn your steering wheel in the direction your car is skidding towards. It is the quickest way to regain traction over your front tyres, and reclaim steering control. 5. Don’t overcompensate when countersteering Once you have some grip, steer against the slide — but do not overdo it. Uncontrolled, panicked countersteering can start a fishtailing motion that can be difficult to bring back under control. 6. Recovery After you've lost — and hopefully regained — control of your car, pull off the road at a safe spot to calm down and collect your wits, while giving you a chance to assess the condition of your car or tyres. If driving conditions are unfavourable, park the car and wait it out. It is far more valuable to arrive alive than to arrive early. Even in the case of tardiness, the oft-used phrase “better late than never" takes on a whole new meaning. Brake Failure - Why, How, Don't!